The post George Washington University Admits NTU Student to Native American Leadership Program appeared first on Tribal College Journal of American Indian Higher Education. A statewide "education tour" brought Lt. Gov. Peggy Flanagan (D-Minn.) to Cloquet. Flanagan and Department of Higher Education Commissioner Dennis Olson, Jr., talk to students, staff and faculty at Fond du Lac Tribal and Community College. The post Lt. Gov., Higher Ed Commissioner Visit Fond du Lac Tribal College appeared first on Tribal College Journal of American Indian Higher Education. Tribal College Journal has announced the winners of its 2019 TCJ Student creative writing contest. This year, the contest brought in scores of entries from tribal college and university (TCU) students from around Indian Country. The post TCJ Student Writing Contest Winners Announced appeared first on Tribal College Journal of American Indian Higher Education. For tribal college students, the study of history, especially Indigenous peoples’ history, is not merely an homage to bygone eras, but rather the act of recognizing how the courage of their ancestors lives on through each of them. The post The Heartbeat of History appeared first on Tribal College Journal of American Indian Higher Education. NTU believes it is a step in the right direction because it broadens access to higher education for students across the state, Guy stated. The post NM House Backs Extending Lottery Scholarship to Tribal Colleges appeared first on Tribal College Journal of American Indian Higher Education. “We embrace the opportunity to host Wisconsin’s first African American Lieutenant Governor to discuss the college’s powerful role in the state’s educational, economic, and social future,” said Dr. Russell Swagger, president of Lac Courte Oreilles Ojibwa Community College. The post Lieutenant Governor Mandela Barnes to Visit LCO College Today appeared first on Tribal College Journal of American Indian Higher Education. The inaugural free event will be held at Fond du Lac Tribal and Community College in Cloquet. The post Meet Local Farmers at First Carlton County Local Food Fair appeared first on Tribal College Journal of American Indian Higher Education. 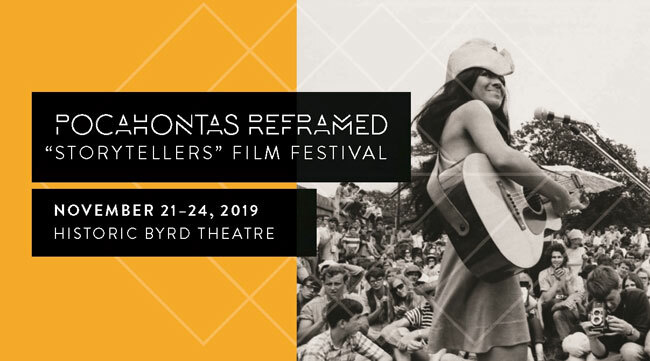 The post <em>Tribal College Journal</em> Partners with Native Film Festival appeared first on Tribal College Journal of American Indian Higher Education. By 1996, the project was growing and Ilisagvik College took over leadership. The heritage center held its grand opening three years later, in 1999. The post Inupiat Heritage Center Celebrates 20 Years appeared first on Tribal College Journal of American Indian Higher Education. “Human trafficking is about vulnerability,” said Katathrina Werner, Missoula Chair and founder of Human Trafficking Task Force. This was the theme at last Monday night during the Human Trafficking free community meeting at Salish Kootenai College sponsored by SKC, Lake County Sheriff’s Department and Missoula Human Trafficking Task Force. The post Human Trafficking Affects Tribes in Montana appeared first on Tribal College Journal of American Indian Higher Education. If House Bill 1150 had survived, the Board of Regents would be able to dole out $50,000 from the state’s general fund for scholarships at $4,000 per applicant per year to non-tribal students attending tribal colleges. The post Committee Kills Bill to Give Scholarships to Tribal Colleges for Non-Tribal Students appeared first on Tribal College Journal of American Indian Higher Education. The Browning School District, Blackfeet Community College and University of Montana Western recently received a pair of federal grants to train future teachers with roots in the Blackfeet community, especially those already working in non-licensed positions in schools. The post Bills to Address Montana’s Teacher Shortage Attract Advocates from Bainville to Browning appeared first on Tribal College Journal of American Indian Higher Education. A focus on Native American culture, values and a sense of belonging at tribal colleges is a strong draw for many of their students, according to a new study. That’s important because such relationships cultivate engaged students, who are then more likely to stay in college. 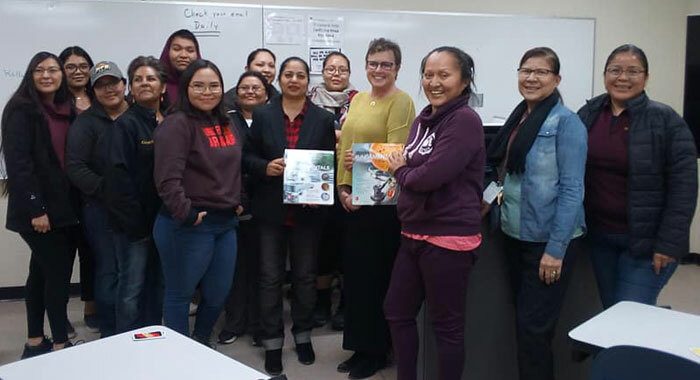 The post Cultural Connections at Tribal Colleges appeared first on Tribal College Journal of American Indian Higher Education. The post Diné College Lecture Looks at Higher Ed Achievement Gap appeared first on Tribal College Journal of American Indian Higher Education. Many Native people have tasted indigenous squash and enjoyed staghorn sumac, along with the tart/sweet delicious taste of chokecherries. But most people outside of Native communities have not had that pleasure. 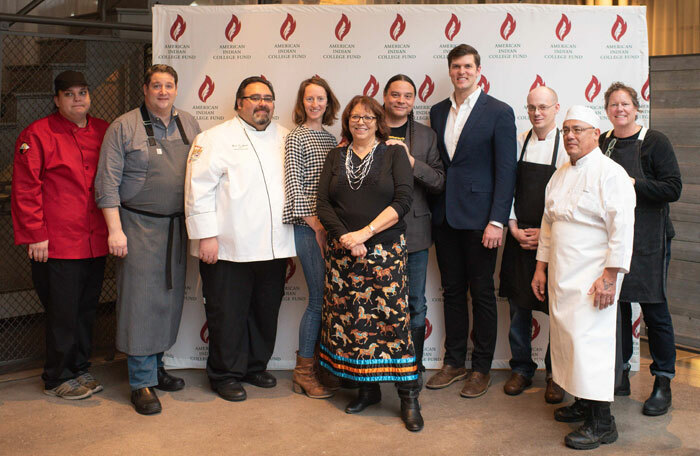 The post Chefs Raise Awareness and Funds for Native Higher Education appeared first on Tribal College Journal of American Indian Higher Education. A report from the American Indian College Fund offers a scalable plan for making college campuses safer and more welcoming to American Indians and Alaska Natives, of whom only 14 percent have a college degree. The post Creating Visibility and Healthy Learning Environments for Native Americans in Higher Education appeared first on Tribal College Journal of American Indian Higher Education. 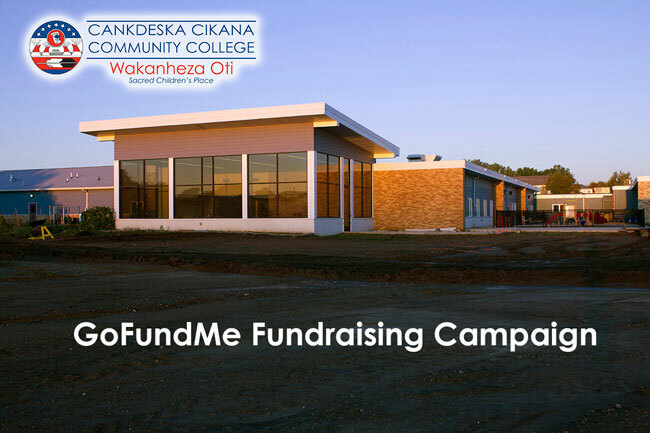 The post Cankdeska Cikana Community College Launches GoFundMe Campaign for Childcare Center appeared first on Tribal College Journal of American Indian Higher Education. The Skakopee Mdewakanton Sioux Community in Scott County, Minnesota donated $200,000 to NWIC in support of the fourth phase of its expansion. The post Northwest Indian College Receives $200k Donation for Expansion Project appeared first on Tribal College Journal of American Indian Higher Education. Fond du Lac Tribal and Community College (FDLTCC) hosted its second annual Mental Health Days on campus February 5-7, 2019. Each day was filled with unique events and activities to help combat and bring recognition to mental health challenges. The post FDLTCC Hosts Mental Health Days Event appeared first on Tribal College Journal of American Indian Higher Education. The post Pathways to Indigenous Nation Sovereignty: A Chronicle of Federal Policy Developments appeared first on Tribal College Journal of American Indian Higher Education.